Running a CPA firm today is a lot like running defense for the least talented team in the NFL. Lots of pass interference from identity thieves, too many blown assignments due to overly complex tax laws that confuse your clients, and unnecessarily complicated pass routes because of the quagmires caused by international laws. Sometimes, it’s easy to view technology as merely another way to complicate your work. If you are trying to build an IT department at the same time you’re trying to operate and grow a CPA firm, you’re likely drowning in complexity, not to mention wasted funds. There is, however, a way to reduce your IT spending, while actually leveraging more benefit from technology than you dreamed possible. The answer is a managed service provider. With today’s cloud computing capabilities, a managed service provider can deliver powerful technologies to your CPA firm, without the enormous investments in IT staff and infrastructure. Additionally, there are more products and services available for CPAs and other small businesses than you are likely aware of. Here’s how managed services can give your CPA firm a whole line of first-round draft picks for a fraction of what you’ve been spending on technology. After you’re done reading here, don’t forget to download the white paper: Managed IT Services For Small Businesses for more insight and information your CPA firm needs. It’s not difficult at all to fill an ordinary 3 X 5 server closet with tens of thousands of dollars in servers and equipment. Add to that the costs of the software you need and IT personnel to install, maintain, troubleshoot, and repair the problems, and you’re quickly talking about real money. With the right managed service provider you can gain access to all the data storage, processing power, and software you need for a fraction of the cost. Additionally, there is no wasted time or loss in productivity when you need to upgrade, change software, add to your data storage, or add new services like backup and disaster recovery. With managed IT services, you can get a lot more hardware capabilities and software access than you could ever afford if it were all on site or “on premises”. One of the penalties we pay for having access to tech superpowers like Google and Yahoo! and Microsoft is that they’re sucking all of the tech talent out of the pool of candidates. The most talented and ambitious IT workers are quickly snatched up by the giants. Colleges and universities simply haven’t yet ramped up their programs to produce enough graduates to fill the tremendous and growing need for tech workers. Every business from national chains of dry cleaners to e-commerce retailers to law firms need IT workers, making it hard for your CPA firm to get what you need. When you partner with a managed service provider, you get immediate access to teams of IT professionals and specialists that you likely couldn’t hire for yourself, at least, not on what you can probably afford to pay. Not only does this simplify your tech operations, it also makes your HR practices a lot easier. Managed service providers act as something like a co-op, pooling lots of resources to make those resources available and affordable to the masses. Have you ever put off upgrading to the latest business software you use? Remember how the software kept getting slower and it seemed like new bugs appeared every day to make your job more difficult? What you may not have noticed or realized is that older software that hasn’t been upgraded or updated properly has many more security vulnerabilities. New threats aren’t introduced every once in awhile. There are approximately one million new pieces of viruses and malware released every single day. So, if you’re using outdated software, your CPA firm is far more susceptible to viruses, ransomware, and hacking than you dreamed possible. Having the latest software means you are more competitive, as well. Your CPA firm will be able to offer the fastest service possible to your clients with the latest in services, without having to raise your prices to make up for the difference. With a managed service provider, there is no installation involved. You simply log into your software, sometimes using an ordinary Web browser, and the latest version of your CPA software is readily available. If you’ve done any shopping around for managed services, you’ve probably come across SaaS, or Software as a Service. As we just discussed, this means you always have access to the latest software versions, but you never have to worry about costly and time-consuming software installations that derail your productivity. But there’s another huge benefit to cloud-based systems that you can get through a managed service provider. That’s mobility. With a cloud-based software solution, you can log into your work systems any time from anywhere. Take a trip to Boston to see the folks? No worries — you can log in and check on a client’s tax returns from your pop-in-law’s computer. Take the family to Disneyland and drop your laptop? No problem! You can log into your work system and see what’s up from your tablet computer, or from the free computers provided at the hotel. Your work is portable no matter where you go or what you’re up to. Another, less discussed, advantage of partnering with a managed service provider is the ability to move IT expenses from the capital expense ledger to the operational expense ledger. 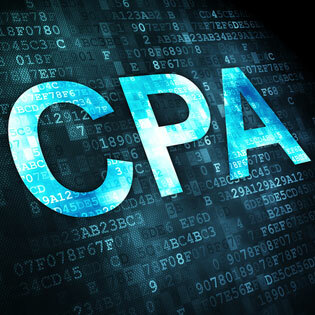 As a CPA, you already realize these advantages. Instead of having to plop down enormous capital expenditures to get the IT infrastructure and staff you need to run a profitable CPA firm, you can simply pay as you go, paying only for what you actually need. Usually, in order to purchase enough storage and computing power to grow your business, you have to buy considerably more than you need to begin with. That means it can be years before you achieve a real ROI for IT investments, and by then it’s time to upgrade and invest in new servers and IT equipment. With a managed service provider, all this shifts to an operational expense. Just like your power bill and cleaning service, you pay for what you get, when you get it, with no gigantic investments that won’t deliver a return until they’re ready to be replaced. CPA firms keep an enormous amount of personal data on their clients. This is the kind of information especially attractive to hackers, because it’s the permanent type of data instead of data that’s easily changed. For example, CPAs almost always store their clients’ social security numbers. Unlike a bank account number or credit card number, social security numbers are permanent. That means that if a hacker steals it, he/she can use it over and over again. You can’t simply cancel a social security number and get another one like you can bank and credit account numbers. Your office is probably open for business from 8-5 or 9-6. Hackers are around 24/7. By the time you arrive to work the morning after a major hack attack, your clients’ most sensitive data could have been gone for hours without your knowledge. As ransomware and other nasty attacks become more commonplace, there are more reasons than ever to hand your critical data security operations over to the pros. Managed service providers employ cyber security professionals who are trained to monitor the traffic on your data stores, applications, network, etc. and recognize abnormal traffic patterns that indicate a potential intruder in the system. These pros can spot and shut down an attack in progress far quicker than your internal teams probably can, potentially saving you the hassle and damage to your reputation that would be caused if your firm was responsible for leaking sensitive customer data. Perhaps the most compelling reason to turn the IT work of your CPA firm over to a managed service provider is simple practicality. You are in business to serve your customers with the best accounting and tax preparation work you can provide. That’s what you do. You never went in business to employ IT professionals or manage databases or worry about cyber security. Just like the other non-essential tasks you outsource to service providers, IT isn’t your bag, and it’s best left to those who do it for a living. Plus, your managed service provider is always aware of the latest technologies you need to leverage for the success of your CPA firm. For example, they can steer you towards cloud-based customer portals, online CPA tools, and other tech resources you never thought about. While you’re busy staying on top of changes in tax regulations and international trade laws, your managed service provider can focus on providing your firm with the technology you need to succeed in an increasingly complex world. Not sure where to start finding the IT managed service provider you need to serve your growing CPA firm? It’s easier than you think, and we’re always here to help.